Like you picked them straight from a cottage garden. This bright bouquet of blush roses, pink lisianthus and soft, scented blooms make a thoughtful gift for any celebration or just a s a simple 'thank you'. 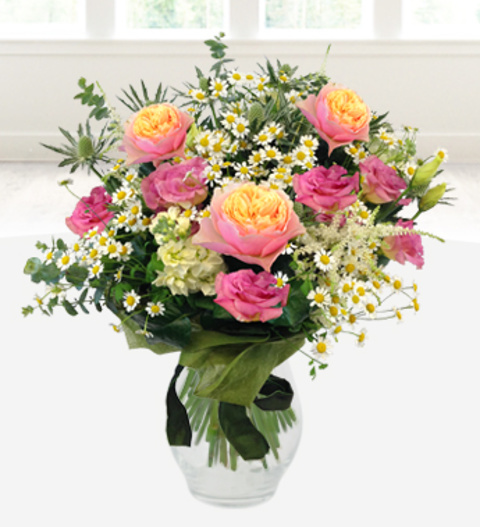 Our Cottage Garden bouquet is skilfully arranged by our talented British florists and is available for same day UK delivery, order before 3pm.